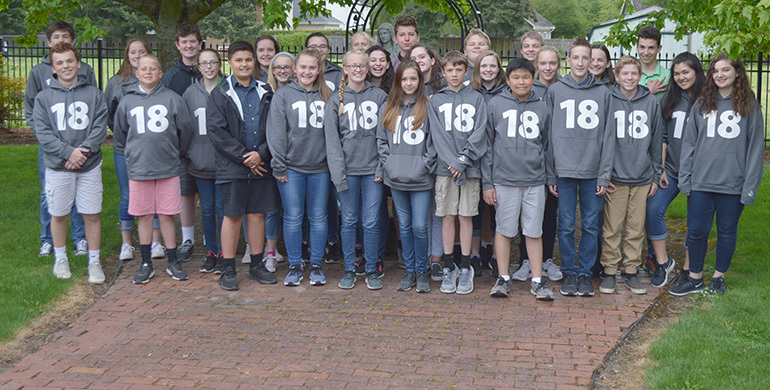 St. Paul Parish School in Eugene will graduate 31 eighth-graders this year. EUGENE — St. Paul Parish School here celebrated the graduation of 31 eighth-graders at 6:30 p.m. Monday, June 11, at St. Paul Church. The St. Paul Parish class of 2018 spent their time on Friday, April 27, at Catholic Community Services Springfield. CCS works throughout Lane County to provide food, clothing and housing assistance and helps those in need work their way out of poverty. The students have a close relationship with CCS, and the eighth-grade class was excited to have one more opportunity to work with them before graduation. Students were broken into small groups to work on specific projects throughout the day, including making bags from T-shirts and working in the food pantry and distributing food to clients. Students also were tasked with spreading and leveling bark in the garden area of the campus. Making bags out of T-shirts was a highlight for many. 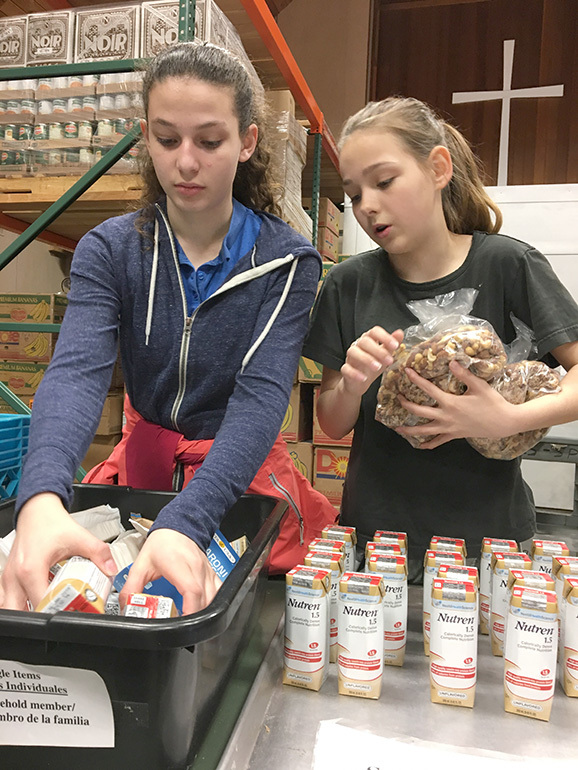 For others, working in the food pantry was the most memorable. Many of the 2018 graduates have been together for the past 11 years — since preschool. “Over the past few years you can really tell that our class has grown together and we all know each other better,” said Meyers. Projects such as this one cemented that bond.